I just got back from an incredible visit home that honestly I am still unpacking and processing. Driving the streets of my hometown and seeing the growth made me smile. The floods waters on the other hand had me focused on keeping the car on the road the entire weekend. Despite the high waters I still managed to see many wonderful people and it did my heart tremendous good. 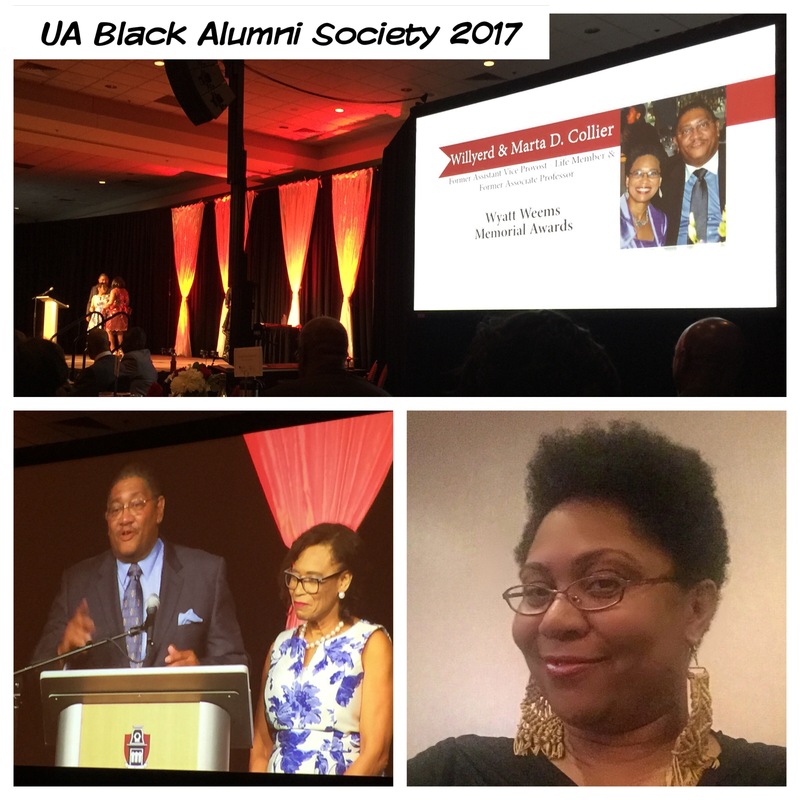 The purpose of this trip was to support my parents in their recognition at the 2017 UA Black Alumni Society Reunion. My roots run deep with the Arkansas Alumni Association so looking out at that event and seeing how it has grown to be one of the premiere alumni gatherings blessed my soul. The staff were on it and the spirit of the weekend left me feeling charged up and excited about the future of the BAS. Yes, I drove 18 hours roundtrip and braved some pretty severe weather this weekend to be present but every mile was worth it. Oh and in the process I succeeded in getting my new doo just before my salon had to be evacuated due to the flooding in Fayetteville. This is a weekend I’ll not soon forget! You look fantastic, but can we talk about how phenomenal the honorees look? We want to be like then when we grow up! Oh my parents are fantabulous!